The title is biased as fun is a different concept for each and every person. A year ago I worked on a basic prototype of a 2D space shooter with a friend but got frustrated because I couldn’t find the fun in it. Since then, I’ve tried a number of 2D space sims and in this post I dissect the elements I really enjoyed about them. Space combat gets more exciting when squadrons and factions are involved. While there is fun in 1vX dogfighting, the fun increases when I have wingmen (often AI-controlled) also trying to take out targets. Boiled down to basic elements, the concept of ‘more ships = more epic’ is often true when creating a grand space experience. 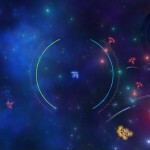 One thing I noticed about the 2D space shooters I tried is that formations were nonexistent. At first I thought this was a design flaw, but after more thinking I realized flying in formation is more relevant in 3D space shooters where there is six degrees of freedom. Wingmen should also be more than just extra damage dealers fighting by the player’s ship. Support ships that heal allied ships (with the player’s ship focused as a priority) can make the player feel like he or she is actually fighting with a squad instead of independently operating fighters. 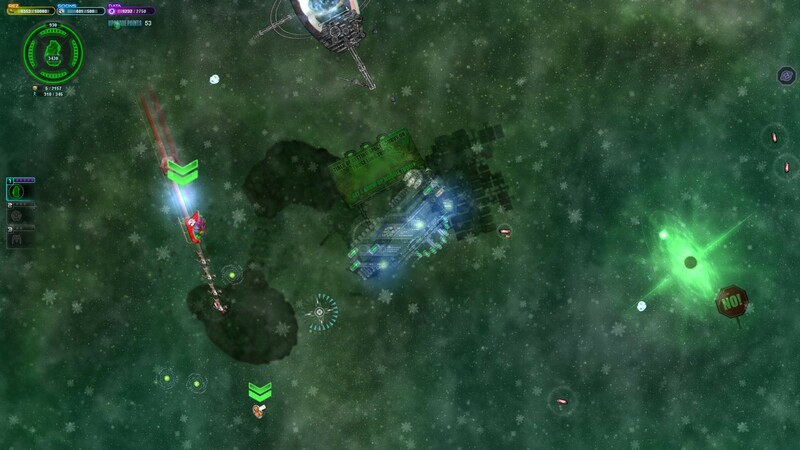 ‘Capture’ ships with tractor beams to slow down or freeze enemy ships can also add utility to a fight, especially if the player gets frozen and gets to see allied ships switch priority to unfreezing the player ship. There is a lot of room for creating diverse roles for ships to express within fights that add to the grand space opera of galactic warfare. Most 2D space shooters don’t have this, but it creates interesting situations. It serves as a ‘home base’ to protect during a scenario so you aren’t allowed to focus strictly on completing the mission objectives. It also serves as a ‘repair station’ where you can dock your ship in the middle of a mission and resupply (hopefully the mothership isn’t getting bombarded while you wait). Games like SPAZ also let you swap control to any of the ships in your fleet, which would allow one to stay in the action until the docked ship is ready again. The mothership also provides an economic aspect in that the mothership can be upgraded with better shields, armor, and weapons. This allows the player to sustain longer in difficult missions. 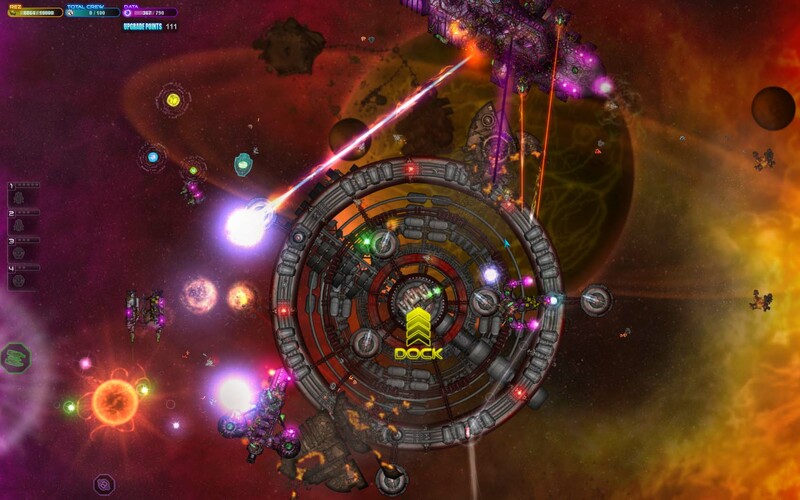 Lastly, a mothership allows the player to feel invested in large battles involving carrier ships because the player’s own mothership is at stake. The trick with these is to announce them to the player. If random enemy units suddenly appear on radar and start heading toward your mothership or flank your fleet, that can actually create an unfun scenario if you didn’t realize they were there. Most of the random encounters in SPAZ involved enemy ships warping in or friendly ships warping in with enemies behind them and asking for help. My favorite encounters are from Homeworld, a classic space RTS game. Often when you were close to completing the last mission objective, something would happen to create tension, such as overwhelming enemy forces inbound, causing you to scramble and finish the last objective asap. These encounters weren’t random, they were triggered, but ‘triggered random encounters’ can have a more natural feel than non-triggered randomness, which sometimes feels artificial. Part of the appeal of a space shooter is being able to maneuver in a lot of open space, but this doesn’t mean the environment needs to be limited. My favorite moments in a lot of the 2D space shooters I tried involved fighting in asteroid fields and areas of high debris. 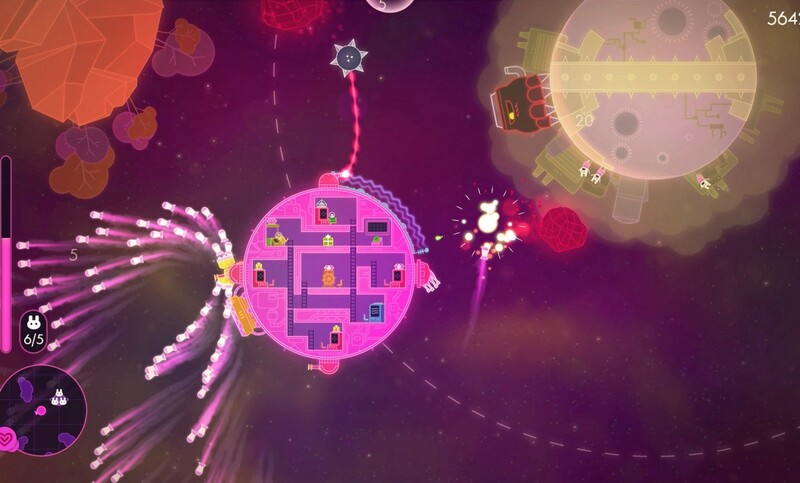 In some games you could even bounce off of objects for a ricochet effect as long as your shield was up. Powerups floating throughout an environment seemed cool at first, but quickly became lackluster to me because they weren’t very impactful. I think if a space shooter wants to have powerups, they need to be significant powerups to feel ‘noticeable’, even if enemies can pick them up. Upgradable player ship. Believe it or not, there was a space shooter that didn’t have a upgradable ship (Astro Blaster) that I had a lot of fun with, which made me realize it is a nice but an entirely optional feature. This is partly because of economic complexity – if there is a mothership that can be upgraded, then the player ships probably shouldn’t have more than weapon loadout customization. Side Quests (often spanning multiple sectors). Most 2D space shooters have these, but games like FTL can be enjoyed without completing any optional quests. “30 seconds of fun, repeated” was one of the core design philosophies of the original Halo. When building a game prototype, nailing a fun game loop is the most important aspect of gameplay because no amount of polish will make an unfun game become fun. 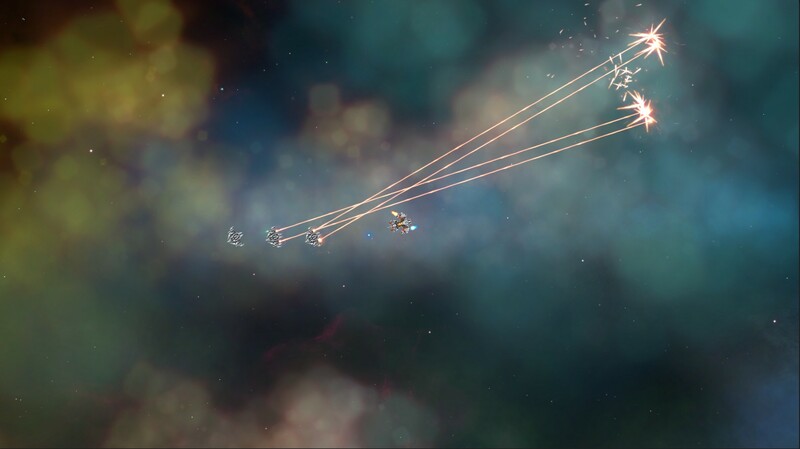 The 2D space shooter prototype we built has basic skirmishing, but has the flaw of formation enemies. Reworking the AI behavior to be more independent is the immediate priority. Afterward, I want to add destructible asteroids that ships can ‘bounce’ off of if shields are up (or take damage if shields are not) before doing a gameplay test of a medium scale battle between two factions. Should I find the gameplay test to be fun, we can expand by adding a capital ship for each faction and run tests of large-scale battle, tweaking it until it hits the sweet spot. 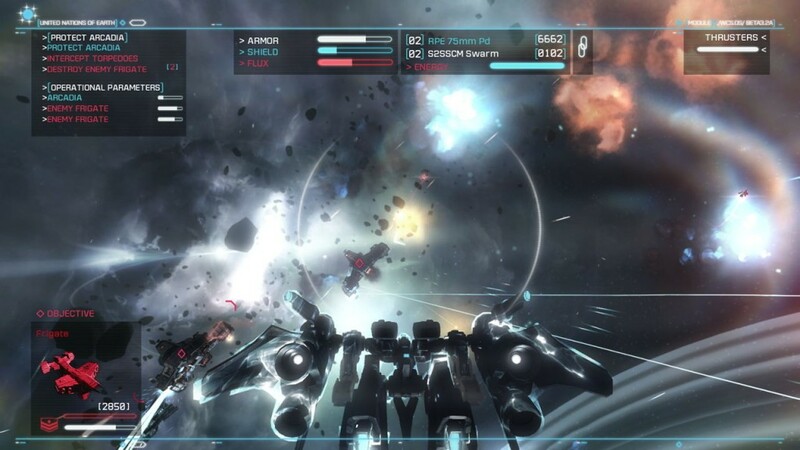 The most recent space shooter I played that featured capital ship battles is Strike Suit Zero (3D). It struck a careful balance between ‘damage the enemy carrier’ and ‘defend your carrier’ by having ‘defense waves’ – both carriers would periodically shoot torpedoes at each other, and torpedoes would do significant damage on contact. Most of the fighter ships skirmishing between the carriers would alternate between dogfighting and torpedo destruction, with fighters from the player’s faction not participating in the latter as much in order to force the player to actively defend. In addition, both carriers would periodically send out bomber squadrons that functioned like mini-torpedo waves. The result is the player couldn’t focus solely on destroying the enemy carrier but instead had to shift priorities between defense and offense, creating a dynamic scenario that kept the player engaged on both the friendly side and danger zones. 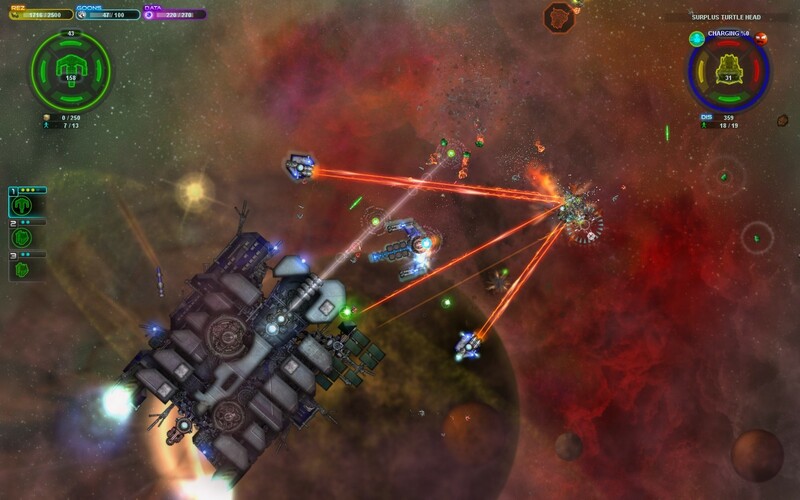 Do Space Shooters Need a Story? 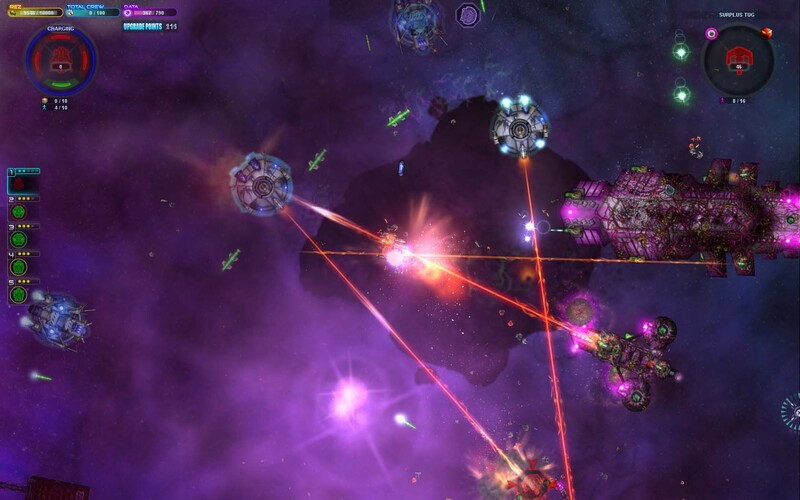 My experience playing 2D and 3D space shooters is that the story is often weak. I think part of the reason is because space games tend to have a lot of exploration and ‘play your own way’ type adventures. 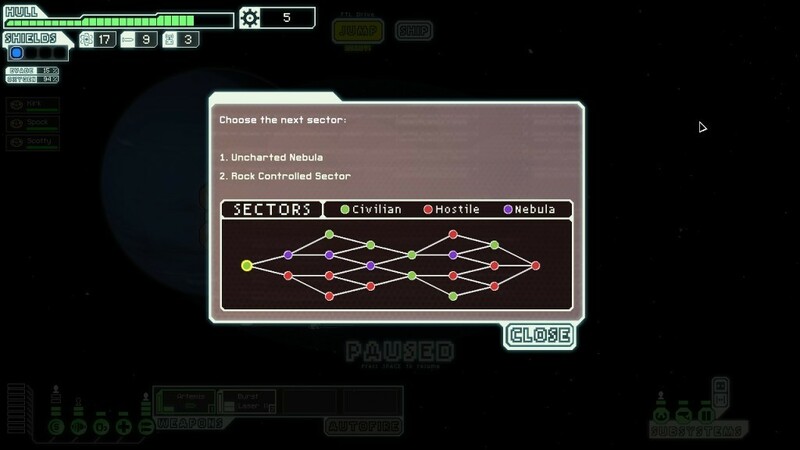 Games like FTL offer only a basic story and then let you carry on the game as you wish. 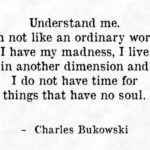 The story comprises the specific experiences you had, not the game story itself, and this is often more meaningful to the player because it is a unique story. This doesn’t mean space shooters can’t have depth. Races and unique boss encounters can have their own particular perks and mechanics. My point is that an overall game story is likely to conflict with the open nature of space games and it’s better to make the main story an optional investment from a story point of view.